Located at a short distance from San Diego, Temecula Valley Wine Country is a great escape from the everyday grind. Temecula Valley Wine Country offers boutique and full-service wineries, intimate bed and breakfasts and lush resorts where guests can taste exquisite local wines, eat delicious food, and soak in breathtaking views. The warm, sunny weather and granite-based soil makes Temecula Valley an ideal place for growing grapes and creating premium, award-winning wines. 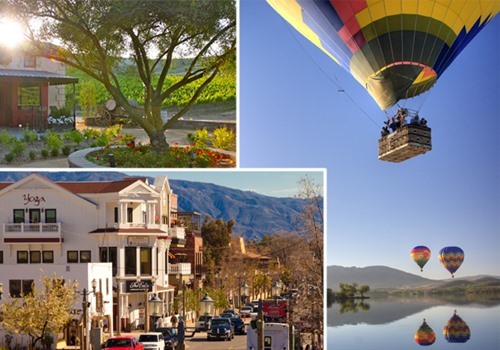 Home to over 40 member wineries and known as Southern California's Wine Country, Temecula Valley offers up some of the most unique, delicious wines and delightful restaurants around, all you need is a ride. We, at Aall In Limo & Party Bus, offer VIP transportation services for any events or activities located in Temecula Valley. Whether you are planning a romantic day of wine tasting followed by an intimate picnic lunch, or if you are planning a celebration with ten of your closest friends, the friendly drivers and staff at Aall In Limo & Party Bus can help you plan the perfect trip. Specializing in Temecula wine tasting tours, the staff at Aall In Limo & Party Bus is highly familiar with all that Temecula Valley has to offer. We are very familiar with each of the wineries and can help you select the ones that are the best for your group size and occasion. When you call to book your Temecula wine tasting tour, tell us what the occasion is and who will be joining you. We will help you choose which wineries to visit as well as where to have breakfast, lunch or dinner. We can also take you to a day spa or resort for pampering or to one of the local casinos for a nightcap and some late night gambling! Not a planner? No biggie. Leave it to us to take you to the best places Temecula Valley Wine Country has to offer. We know all the best spots for those who love big bold reds and for those who prefer a refreshing glass of white wine. We also know the best places to eat as well as which wineries offer live music and which offer the best wine and food pairings. No matter what you are in the mood for, we will make sure your experience exceeds your expectations. Temecula Valley Wine Country has events all year long that you won't want to miss! We will customize your tour if you would like to head up during events like the Harvest Celebration. We can drop you off the event and pick you up whenever you are ready. From there we can take you to dine at one of the local restaurants or we can even grab food for you on the way home. Hot Air Balloon Ride: One of the most romantic starts to a day of wine tasting is to soak in the breathtaking views of the Temecula Valley from a hot air balloon. You can sip champagne while floating over rows of lush vineyards. Golf: Temecula is home to several golf courses with breathtaking vistas. Temecula's beautiful sunny skies and warm weather makes it the perfect place to golf, especially in the spring and fall months. Spa: Whether you are on a romantic getaway with your significant other or are celebrating a bachelorette party with your closest girlfriends, you can relax and get pampered at one of Temecula's many day spas and full-service resort spas. Arts & Entertainment: Temecula Valley, Southern California's Wine Country, offers its guests a number of cultural events all year long. From jazz festivals to live concerts and sporting events, there is always something to see. Gambling: Southern California's largest casino, Pechanga Casino, is located in the heart of Temecula. Stop into the casino for a nightcap and try your luck after a day of wine tasting! Temecula Valley Wine Country also offers its guests a number of amazing restaurants to choose from. Whether you are looking for a small cafe or a fine dining restaurant where you can indulge in a delicious meal accompanied by Temecula's finest wines, you will be sure to find what you are looking for. Call us at 858.336.1894 for more information and booking!